Seventeen years ago, two planes were hijacked by jihadist terrorists under the direction of Osama bin Laden and they were deliberately flown into the Twin Towers of the World Trade Center in New York City. Within two hours, both towers fell, killing 2,118 civilians in the building, 147 crew and passengers from American Airlines Flight 11 and United Airlines Flight 175 along with 11 hijackers. New York City chose to memorialize all of the innocent dead by creating a park with two waterfalls in the footprints of the Twin Towers, building a 1,176 foot high One World Trade Center (originally designated the Freedom Tower) and a $600 Million museum to memorialize the horrific day. 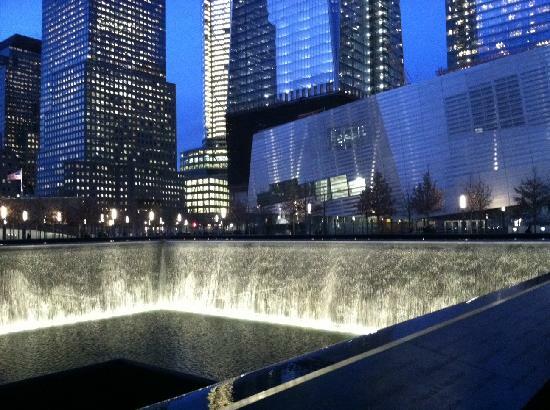 There has been some controversy concerning the 9/11 memorials at Ground Zero in NYC. It took over a decade to erect a new building which was meant to show American resolve. The signature new World Trade Center building legally changed its name from the 102 story $3.1 Billion Freedom Tower to accommodate a 21 year lease with Vantone, a Chinese commercial realty company. The 9/11 museum drew fire for featuring the jihadist hijackers "for the historical narrative". Some have complained that political correctness has gone made at Ground Zero erasing anything heroic, patriotic or influencing the narrative. Atheists even tried to exclude a cross formed by two steel beams in the WTC collapse that gave many Ground Zero rescue workers solace, but fortunately courts denied this claim. The 184 victims of the attack on the Pentagon were honored in an outdoor memorial on the southwest corner of the Pentagon which was designed by Julie Beckman and Steve Kaseman with 184 illuminated benches arranged by age and whether they were in the building or aboard the terrorist hijacked aircraft. United Airlines Flight 93, the Newark to San Francisco scheduled flight with a crew of seven and 33 passengers was hijacked by four jihadist terrorists. The passengers revolted against the hijackers after learning of the other hijackings. Flight 93 crashed in rural Somerset County, Pennsylvania. 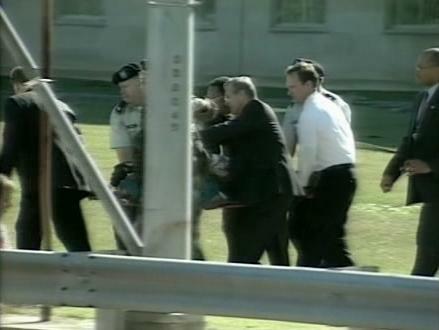 It was believed that had the jihadist hijackers prevailed, the plane was headed to crash into the US Capitol. But in 2009 a high ranking al Qaeda detainee revealed that Flight 93's specific target was White House. Whatever the case, these heroic passengers were first conscious US combatants in the War on Terrorism. There was some controversy with the original design of the Flight 93 memorial in Shanksville, Pennsylvania. The memorial originally was supposed to include 40 groves of red maple trees shaped like a crescent. To quiet the debate, the 93 foot Tower of Voices has 40 wind chimes and a grove of 40 red maple trees which circle the walkway, following the bowl shape of the former surface mine. As time has passed, the September 11th 2001 attack could fall into the recesses of memory for many Americans directly untouched by the fanatical atrocity. 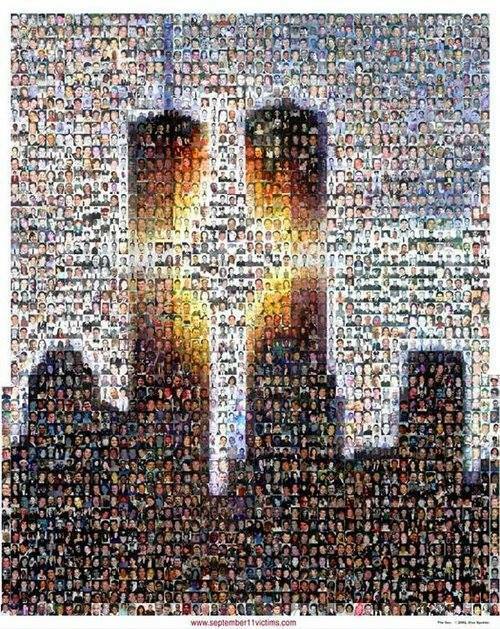 May we always remember the 9/11 victims and never forget the American virtues which made US a target of those wishing to establish a world-wide Caliphate.